The media has come under fire from politicians, analysts and, sometimes, the American public in recent years for bias, fake news and sensationalism. So how are broadcast journalists overcoming some of these perceptions in today’s media climate? Judy Woodruff will discuss the media climate of 2018 and her role in it during a keynote conversation with Future’s Paul McLane on Nov. 28 at Government Video Expo. The results of a Pew Research Center survey conducted earlier this year show that almost “seven in 10 Americans (68%) feel worn out by the amount of news there is these days, compared with only three in 10 who say they like the amount of news they get.” So how are newscasters keeping their viewers engaged? “We not only live in a news-infused time, with information flying at us from every direction — our smartphone, our social media accounts, television, radio and newspapers, just to name a few,” said Woodruff, “but at this moment our president is literally a news-making machine. Woodruff doesn’t blame Americans for feeling overwhelmed, but feels the answer isn’t to eliminate any of this news. Instead, she said, stories should be prioritized with a focus on those that are of greatest consequence while making sure news reports are as clear, understandable and compelling as possible. Woodruff didn’t actually plan to go into broadcasting as a career, but a professor asked if she had ever thought of covering politics as a reporter and “the lightbulb went off,” recalled Woodruff. She applied for entry-level newsroom positions in Atlanta and landed at WQXI (later WXIA) as the newsroom secretary. Since that time Woodruff’s career has brought her face to face for interviews with many history makers. Among them, those she feels have been the most compelling have included former President Jimmy Carter, William F. Buckley and former Director of National Intelligence James Clapper. “I have to add the first responders I interviewed in the aftermath of the attacks on the World Trade Center in September, 2001 — because of the horror and stunning nature of the moment,” she said. “PBS NewsHour” can be seen each evening on the television, on mobile devices, via YouTube or Apple TV and via podcast, and Woodruff sees this as one of the challenges facing the broadcast industry in the coming years. Why? Woodruff will analyze the media climate of 2018 and her role in it. Now What? Sign up to meet and learn from Woodruff and other top speakers from CNN, The Kennedy Center, DC Visionaries, BundlAR, Creative Media Matters and more. 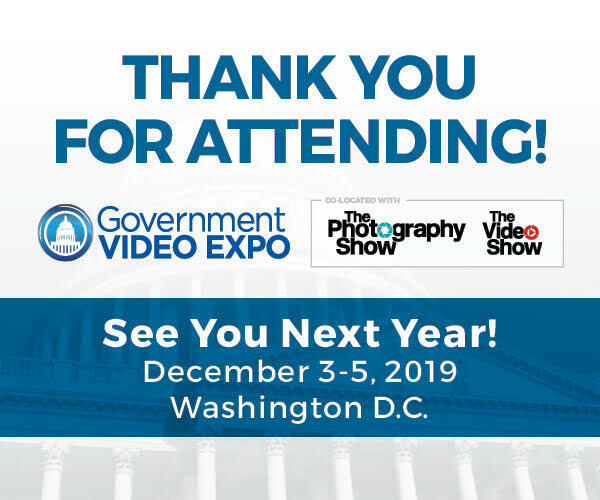 Woodruff joins a speaker lineup at Government Video Expo that includes Mark Lambert, founder, director and VFX supervisor of VArtisans; Shane Yeager, CEO and Celene DiStasio, COO and creative director of DC Visionaries; John Martin, CEO of BundlAR; and Gail McCabe, executive director of CreativeMediaMatters.